The competitors at WRAL Soccer Park felt like rock stars from the moment they arrived in town. But these young athletes inhabiting the fields from July 10-15 were not soccer players, as any driver on Perry Creek Rd. recently could attest. No soccer balls flew at the complex. Instead, a different sort of flying object took center stage. 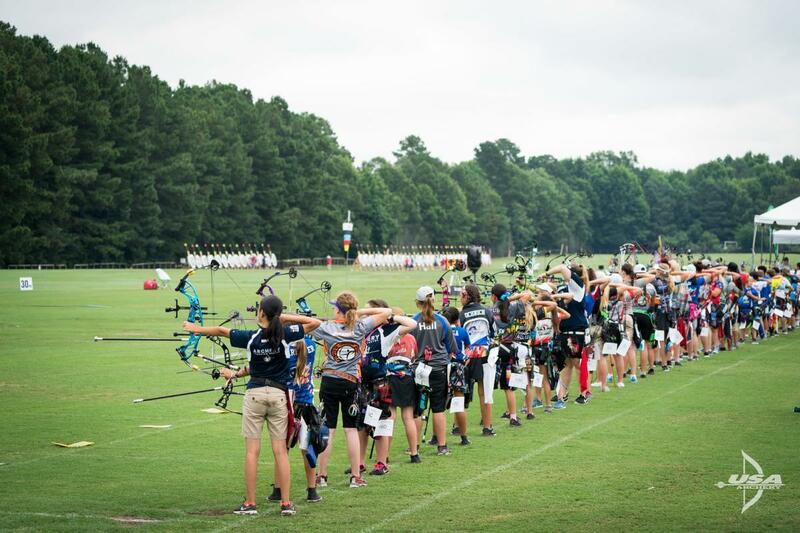 USA Archery was in town, hosting its Junior Olympic Archery Development (JOAD) National Target Championships, and marking the first time Raleigh had ever hosted a major national archery event. The fields provided a level setting for the competitors, who shoot at targets between 25 and 70 meters away depending on age. Whether they compete in the barebow, compound or Olympic recurve divisions, the goal is the same: hit the bullseye as often as possible. Away from the competition fields, athletes and their families got a taste of life in Greater Raleigh. The Adams family from Cincinnati gave Goodberry’s a thumbs up, and barebow competitor Charlotte Adams, 15, enjoyed the welcoming feeling upon arrival at the Hilton Garden Inn at Triangle Town Center. Raleigh and Cary&apos;s FRESH. Local Ice Cream furthered that feeling by creating a custom flavor, about 300 scoops&apos; worth, for the event. Archery Blast—raspberry ice cream with blueberry puree and white chocolate chips—offered a red-white-and-blue theme that seemed to be a favorite among competitors and spectators alike. Red, white and blue were colors seen often at the fields, as some of the approximately 800 athletes have dreams of making the U.S. Olympic team. And the field was not solely American—nine other countries, including Canada and Colombia, were represented in Raleigh. Hoping for a spot on an international stage is one reason to love the sport, but it’s not the only one. Why do the competitors love archery? Well, it’s different than other sports they’ve tried, for one. Casey Kaufhold, a highly ranked 14-year-old from Lancaster, Pa., says she chose to focus on archery after competing in basketball, gymnastics, dance and swimming. “I fell in love with the sport too much to let it go,” Kaufhold said. Guy Hutcherson has seen other young competitors fall similarly hard for archery. 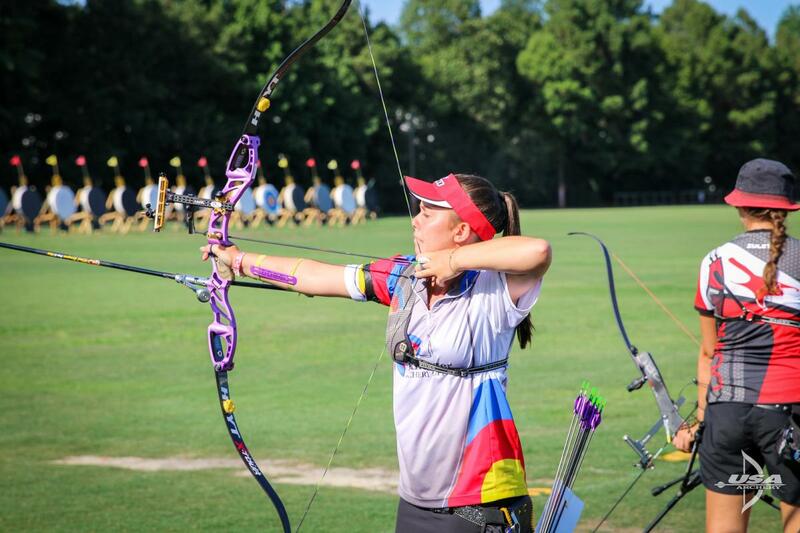 Hutcherson runs a club in Rockingham County and is USA Archery’s state representative for North Carolina. His son, now 21, competed in tournaments for years, starting around age six. The sport got a boost when The Hunger Games movie was released in 2012. Kaufhold, who won the junior division in the recurve category in Raleigh, has been competing since she was eight years old. She noticed the sport became “more crowded” after girls identified with Jennifer Lawrence’s character, Katniss Everdeen, displaying marksmanship with a bow and arrow. The competitors enjoy archery’s accountability and simplicity. Tyler Thomas, a 12-year-old from Fargo, N.D., began shooting after seeing his older sister, Kinzie, take up archery. Tyler plays baseball and football but says archery is his favorite. That’s why Mandy Thomas, Kinzie and Tyler’s mom didn’t mind making the 22-hour drive for the tournament. Adams, the 15-year-old from Ohio, runs cross country for her high school team and spends 15 to 20 hours a week on archery practice. Calling the sport “a fun part of me,” she relishes archery’s individual focus. Adams generally excels. A year ago, she broke the 14- and 17-and-under scoring records at the national indoor championships in Mankato, Minn., earning a mention in Sports Illustrated. Kaufhold, who at 13 broke scoring records for all ages earlier this year at the national indoor championships, loves the different feel she gets from archery. She was around three when her parents first put a bow in her hand. 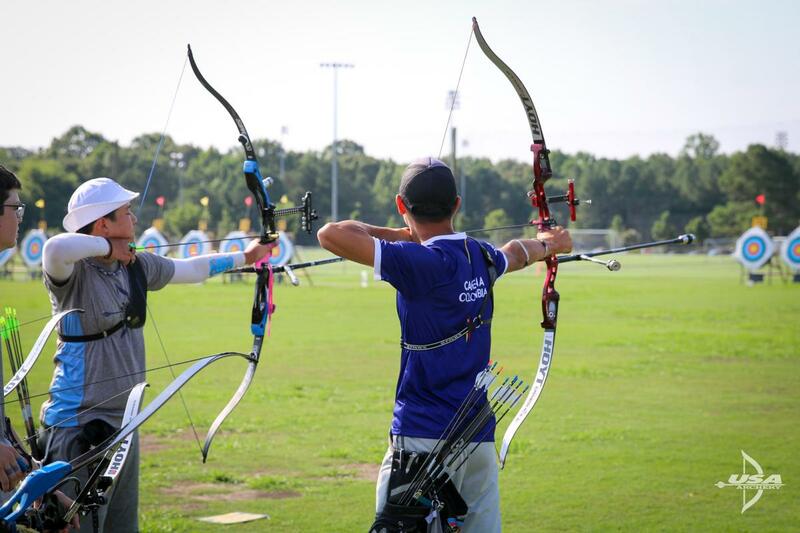 WRAL Soccer Park hosted archery for the first time, but it won’t be the last. Officially, the 2019 return was announced last week. That’s good news to Bryan Bachelder, the tournament and facility events director for North Carolina FC Youth, which owns and operates WRAL Soccer Park. Jason Philbeck, assistant director of the GRSA, said that discussions began in 2016 with officials from USA Archery about hosting the event. WRAL Soccer Park seemed like an ideal setting for the outdoor target championships. 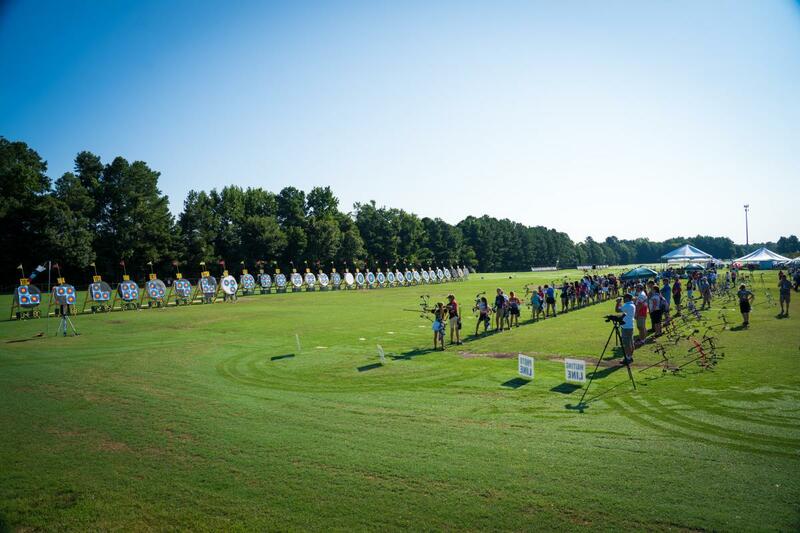 And now one event will turn into two, as Raleigh aims to become a target destination for America’s best archers.